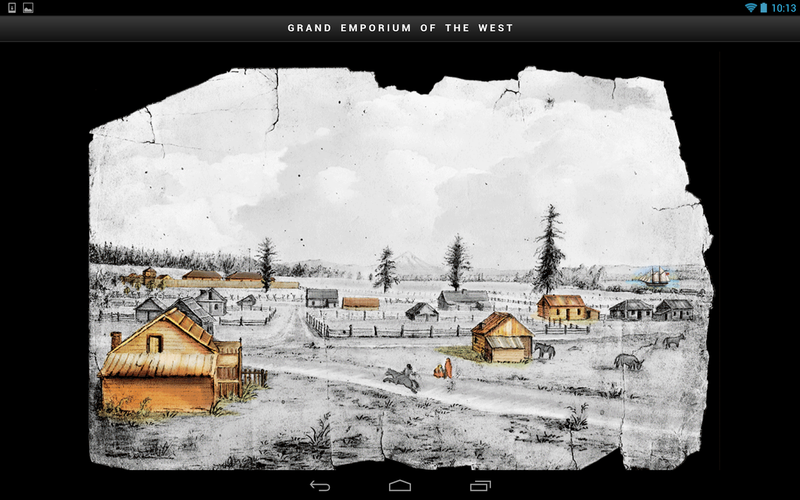 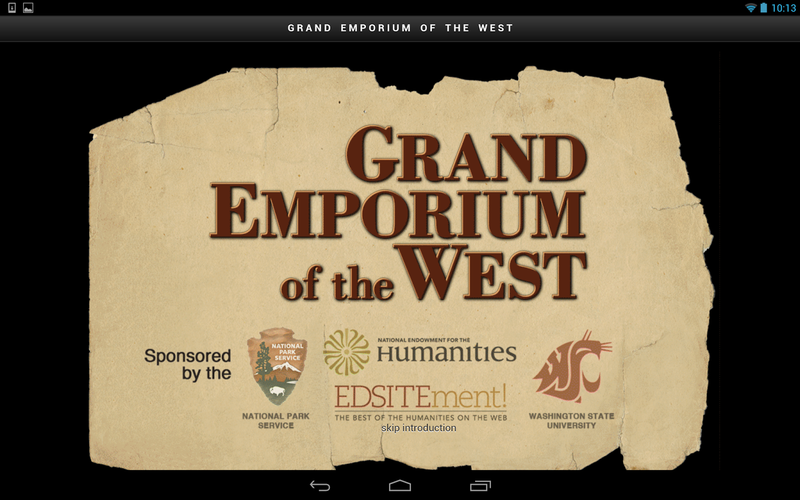 We are less than a month away from the release of our latest NEH-funded mobile app; this one titled "The Grand Emporium of the West." 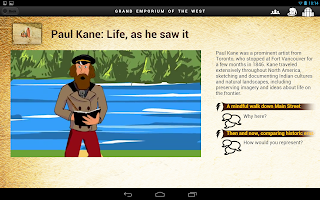 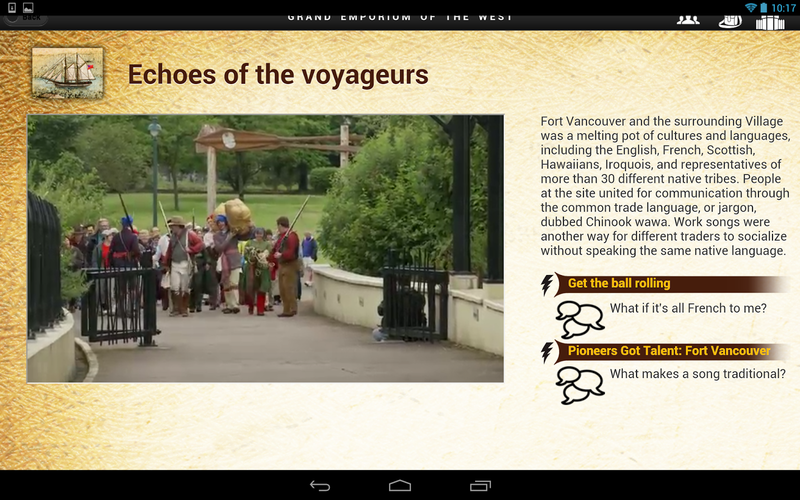 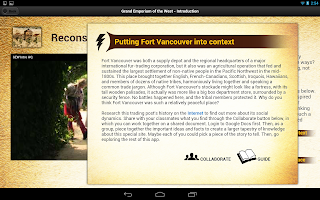 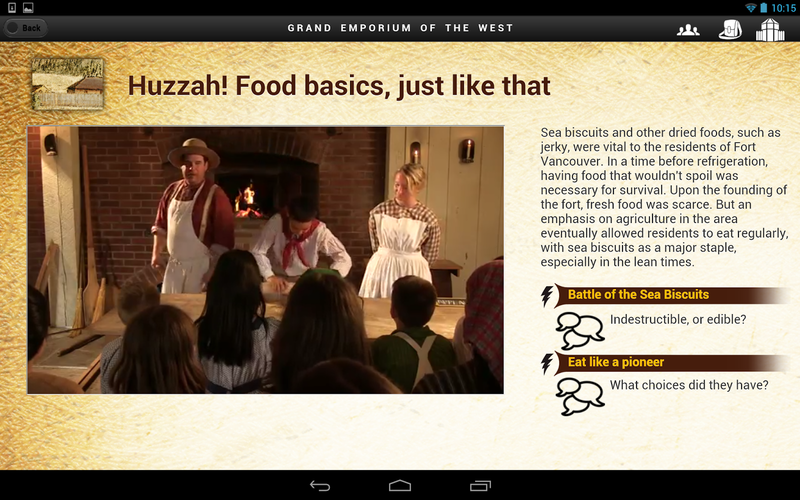 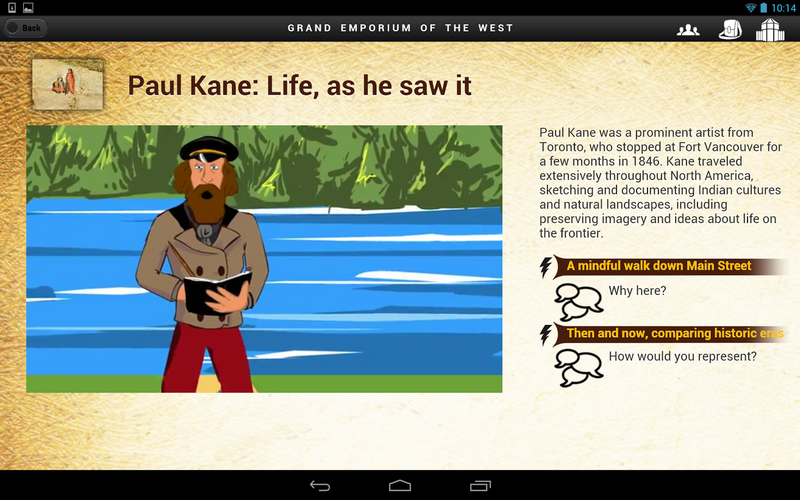 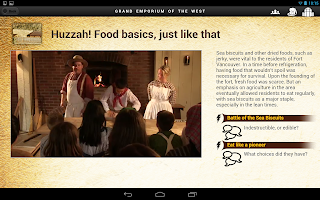 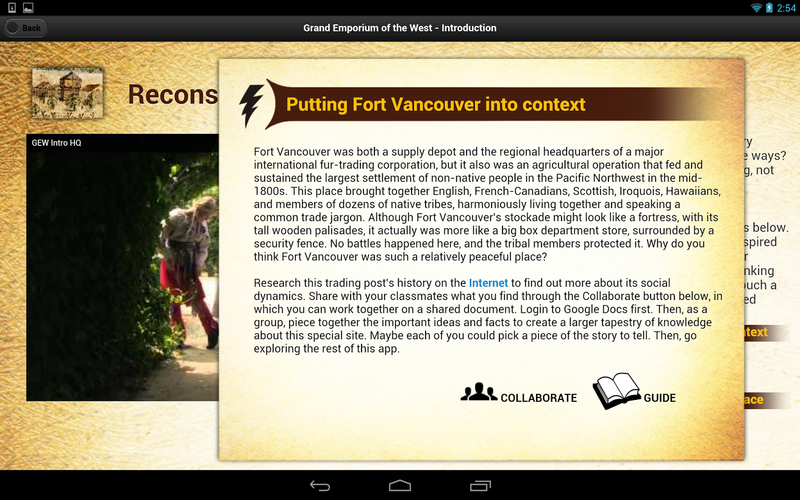 This app is designed for tablet computers, and it is designed for use in middle school history classes nationwide. 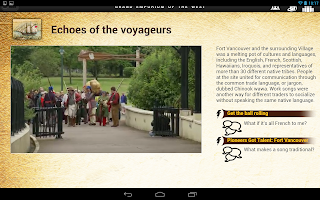 It continues the story of Fort Vancouver, but instead of being locative in nature, it is designed as a place-less prompting tool for classroom activities and discussions about the 19th-century frontier, wherever you are in the United States. 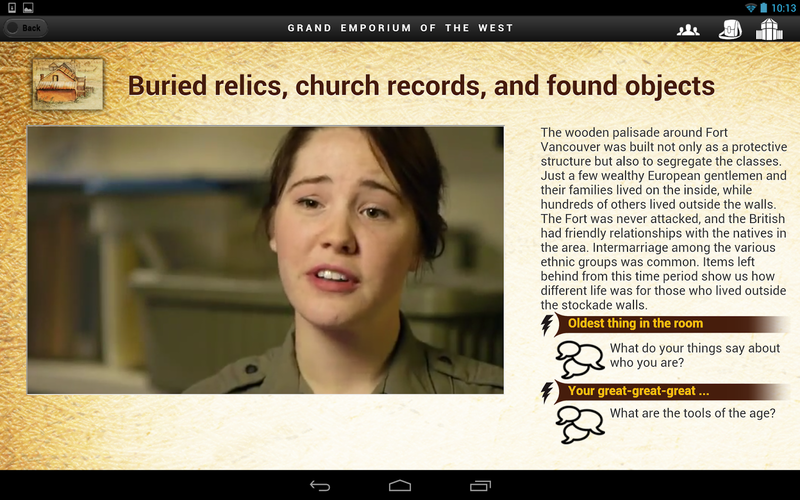 This app will be free and available for both Apple and Android devices; any history teachers out there want to give it a try, please let me know.